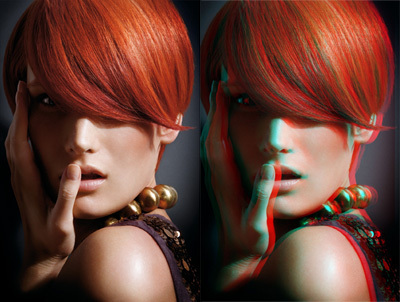 jelphotoretouch | The not yet professional retoucher. 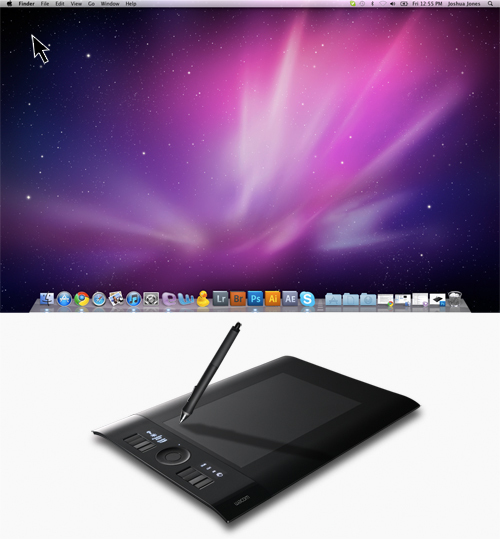 So, I saw the Wacom Cintiq 24HD for the first time yesterday. This thing is massive! It weighs 30kg’s out of the box. Why so heavy? Well, the base acts as a counter weight of the screen. This allows you to position the screen off the edge of your desk for superior comfort. If I mention anything that is incorrect I apologise, I’m going from memory and I did have a few beers. 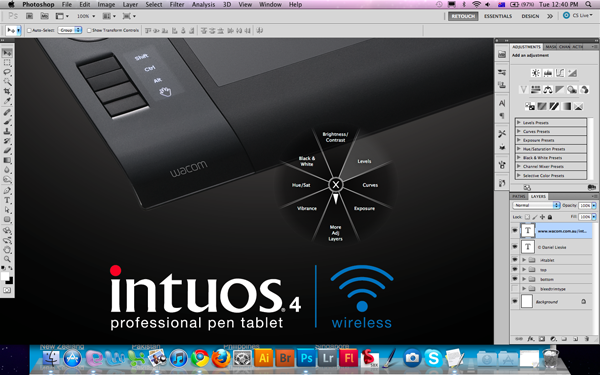 Pressure level: Same as Intuos4 at 2048 levels. 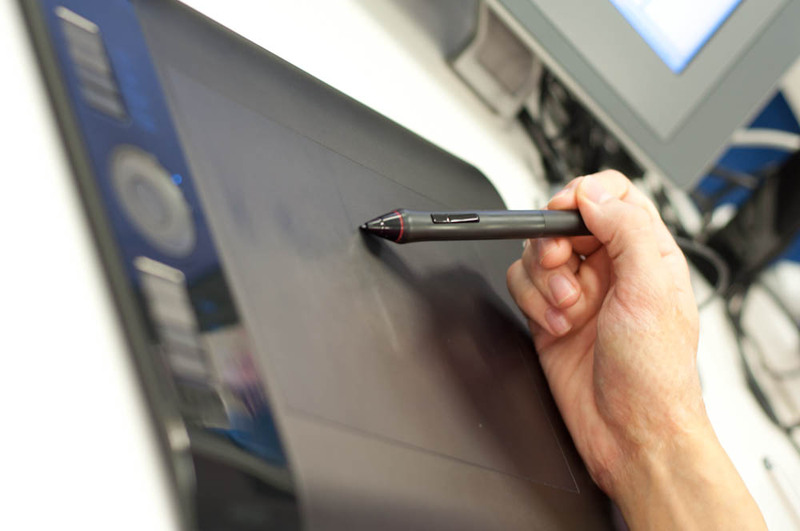 Whats different to the Cintiq21? Firstly, It’s a larger screen, better resolution and widescreen format. 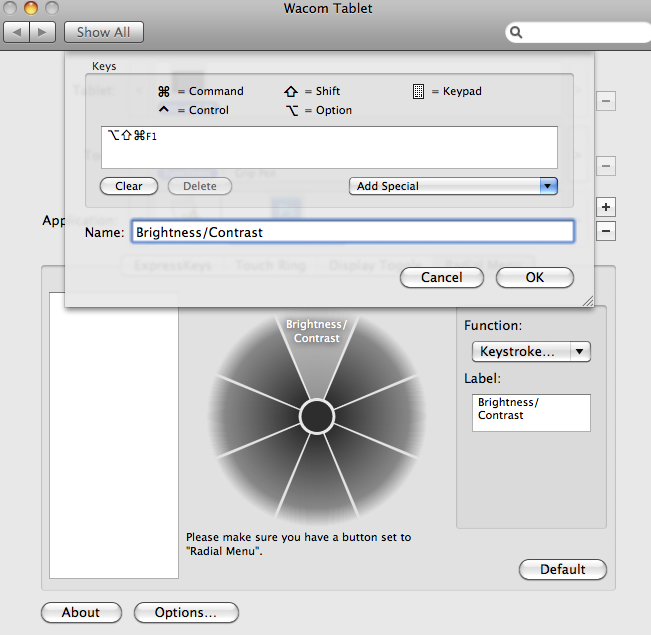 This panel will display 92% Adobe RGB compared to the Cintiq21’s range of 74%. 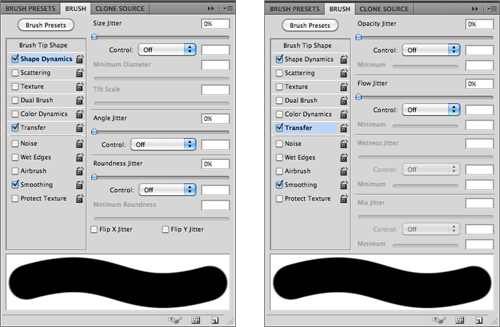 They’ve given the Cintiq 24HD two toggle rings instead of two touchstrips as found on the Cintiq21. 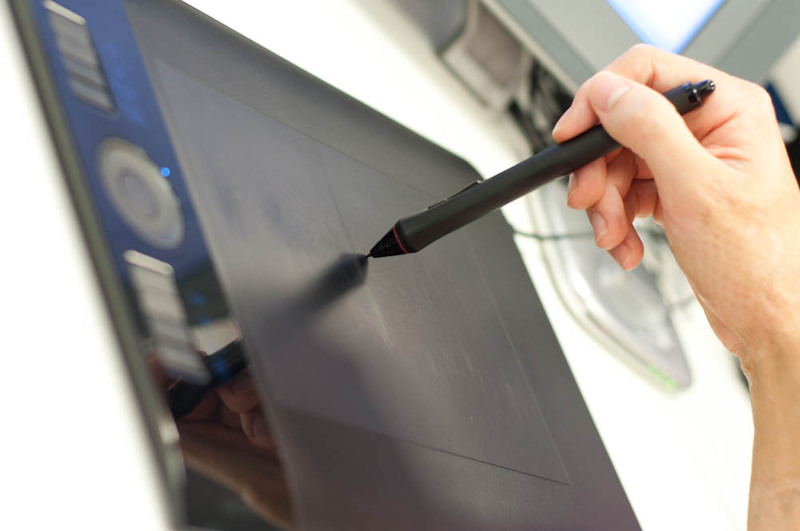 The Cintiq 24HD also has a USB port which is handy for plugging in a keyboard or a USB stick. 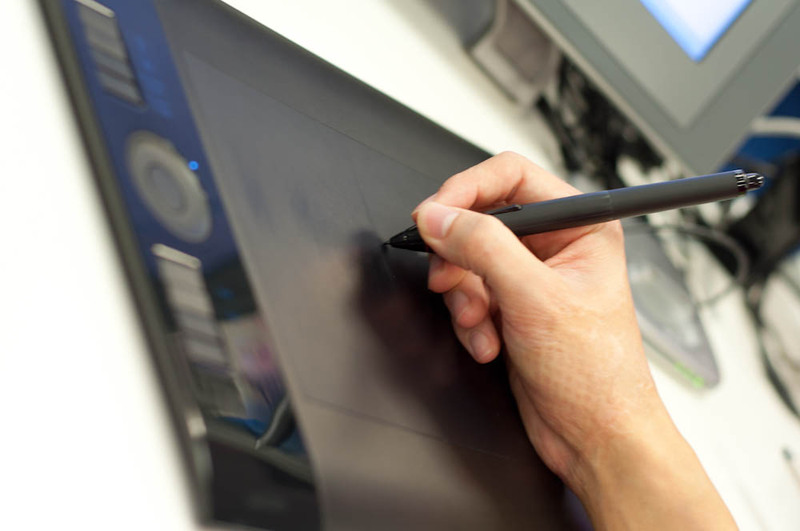 You won’t find a USB port on the Cintiq21. The only thing the Cintiq21 has on the Cintiq 24HD is 6 more ExpressKeys. 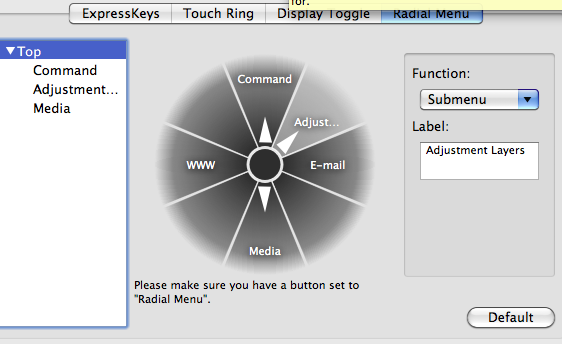 You’ll find 10 ExpressKeys on the Cintiq24 HD which is plenty anyway. Well, the first thing I thought was “Holy sh*t that thing is huge”. The guys at Wacom tell me there is a warning on the box saying that you need two people to unpack it. They’re probably right. After you sit in front of it, it does feel natural. Works just as it should. Which you would want it to as it comes in at a cool $2999AU. So i suppose, if you can afford it go for it. Be prepared to remove everything from your desk though, it will take much more room than you think. While retouching an image for Melbourne based Photographer Jayden Harrod, I noticed a significant slow down of my machine when my file size started to creep upwards of 500mb. It was extremely frustrating as I use a relatively new iMac and one would assume that this machine could handle the work I was doing. Photoshop is just like any other program out there, it will do things and function in what ever way you tell it to. So, if you’re telling it to do things like not allowing it to use enough RAM or not giving it any space to store temporary files then you’ll notice a significant slow down in performance when you’re working on high resolution files. So, lets have a look at what you can tell Photoshop to do in order for it handle your massive files a little better. If you’re on a mac. You need to go to Photoshop -> Preferences -> Performance. For Windows head over to Edit -> Preferences -> Performance. This is where you tell Photoshop how much of your RAM it can use. When I retouch, I only really have iTunes and Photoshop open so I generally leave this at around 80-90% If you don’t give Photoshop enough RAM it will begin to store files on a Hard Drive which is slower to access then RAM. 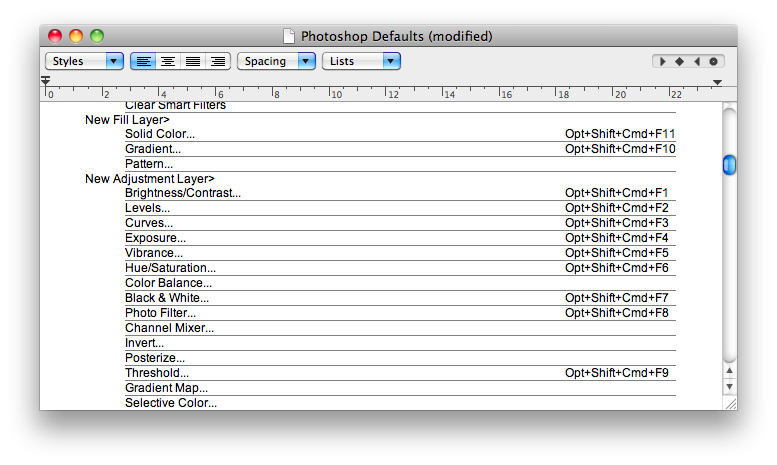 Consider closing unused applications when you’re using Photoshop. 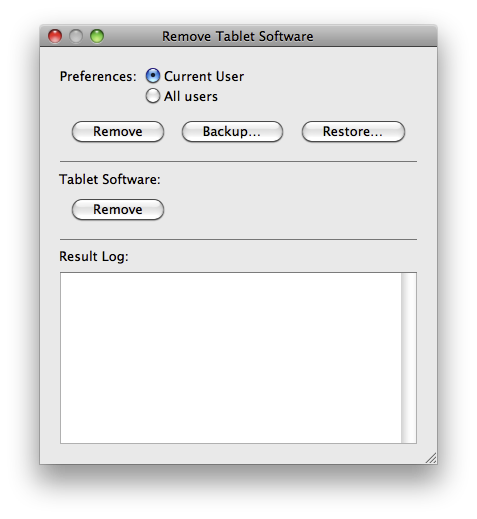 Scratch Disks are Hard Drives that you tell Photoshop to use when it needs more space then you have available in RAM. If you have the cash and the hardware consider installing a Solid State Drive in your machine. I would, but I can’t add another drive inside my iMac. So, I just leave it assigned to my primary internal drive. I just have to make sure I don’t fill up this drive. For those that want to consider adding another drive to your iMac using eSATA for maximum speed you can. It involves some drilling which is something I’m too scared to try. Find the information here. I work very non-destructively, meaning, if I make a mistake I can always step backward with out undoing a million times. 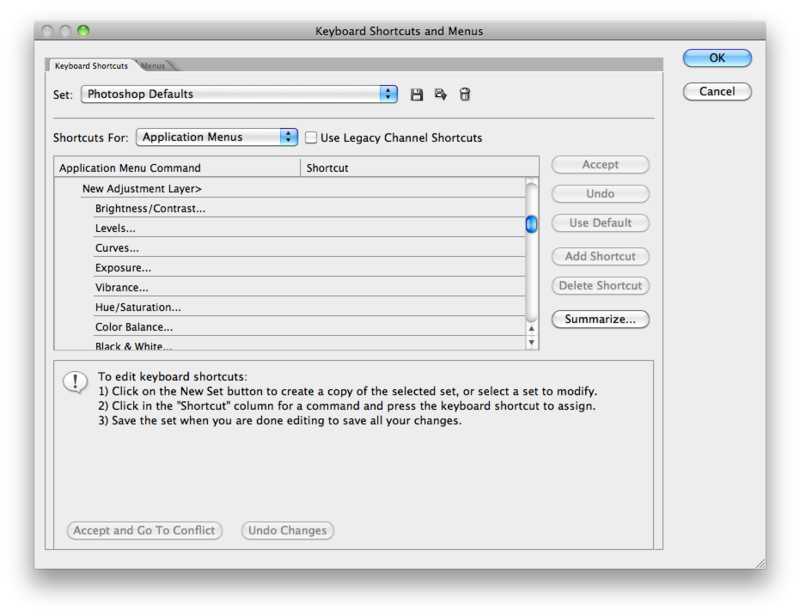 I’ve developed a workflow that enables me to work through a whole image and undo everything if I need to. Which means, I only need to set my History States to 20. 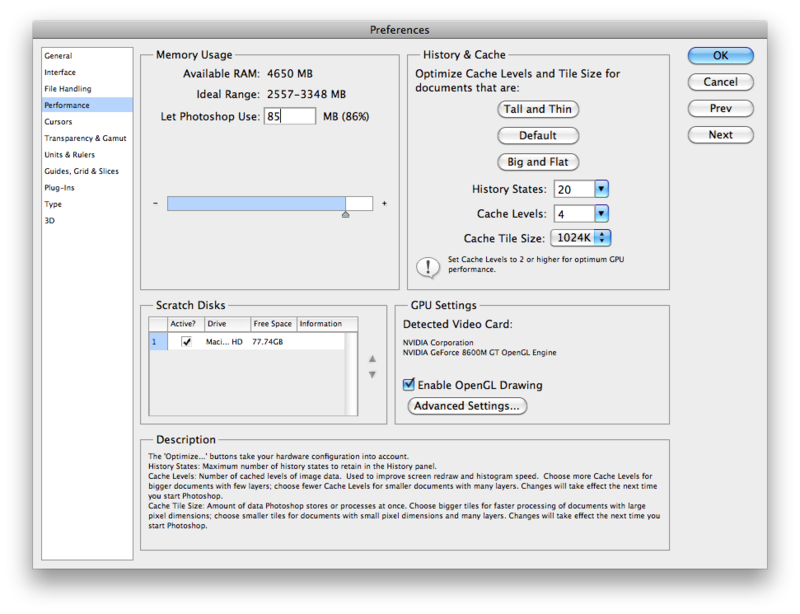 Think about it, the more History States you tell Photoshop to remember, the more space it will need to store them. Keeping this number as small as you can will improve performance. If you notice a big slow down while working consider purging. To do this go to Edit -> Purge -> All. Cache Levels is a little bit of a mystery to me. Photoshop tells me it is used to improve screen redraw speed. I normally set it to about 6 because the majority of files I work with are quite large. Cache Tile Size. This little guy was the reason for my pain. 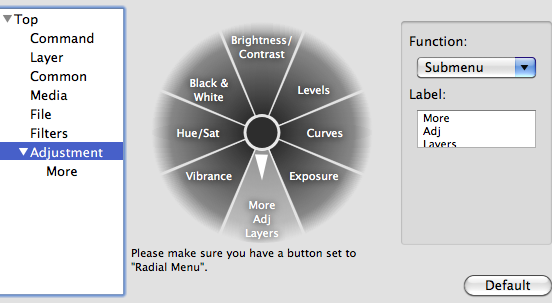 I had never touched this setting previously purely because I had no idea what it was. It turns out that the default setting of 128k severely impaires performance. After changing from the default value of 128k to 1024k I really noticed a substantial increase in speed with brush strokes and filters. Keep this ticked if you have a Graphics Card that supports it. 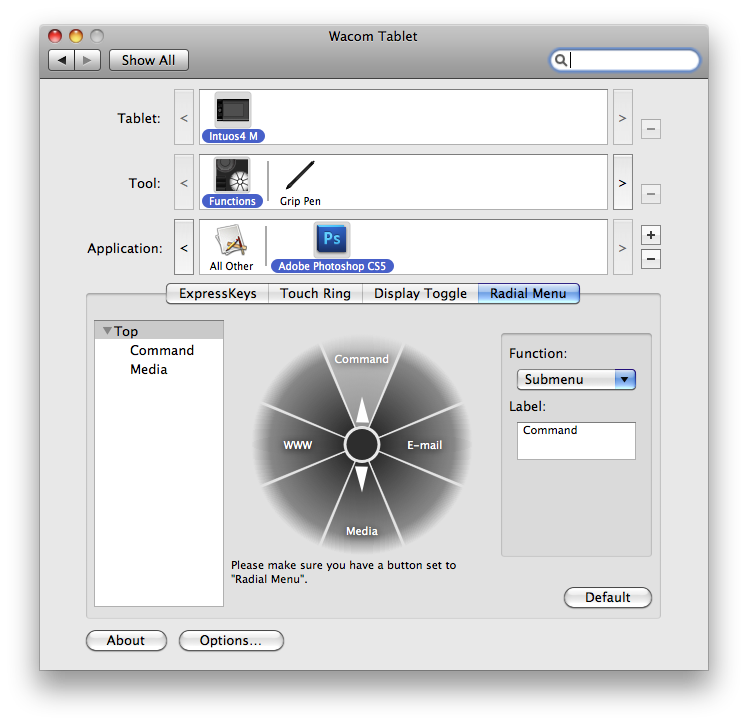 It enables you to pan flick around your documents and other fancy little thingys. Turn it off and a few things will be disabled which you probably won’t notice unless you use the 3D tools a lot. Keep an eye on this little guy at the bottom of your document window. To access it, click on the little arrow and make sure Efficiency is ticked. When it starts to drop below 100% Photoshop is telling you it is struggling to keep up! Finally I need to thank the clever people/person responsible for macperformanceguide.com After running in to trouble I came across this site and they enlightened me about the little Cache Tile Size ‘trick’. This alone purely solved my problem. 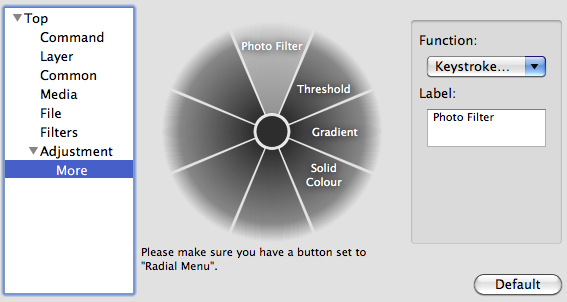 I hope this helps you maximise Photoshop’s performance while retouching. I came across this Blog will travelling in my Google machine. I’m interested in improving my Illustrator skills. The way I see it, the more you know, the more employable you’ll be in the future. Knowledge is power! This Blog is fantastic, the tutorials are easy to follow, inspirational and very interesting. Chris talks about techniques in Photoshop and Illustrator but I think his strength lies in his Illustrator knowledge. Chris Spooner is one talented individual. One particular post I’m extremely impressed with and that helped me out quite a lot was “50 Illustrator tutorials every designer should see”. Check out this blog. You will not be disappointed. Lets open up photoshop and open up your image. I am using an image from Katanaz Stock on deviantArt. If you wish to use the same image you can find it here. 1. Duplicate the background layer by pressing ⌘-j (ctrl-j on PC) or by dragging the layer into the ‘create a new layer’ icon. 2. 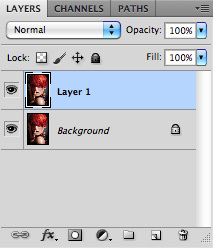 Double click on the new layer you just created to open up the ‘layer styles’ window. Under the Advanced Blending heading, uncheck the R in Channels and press OK.
At this stage it appears that nothing has changed. 3. 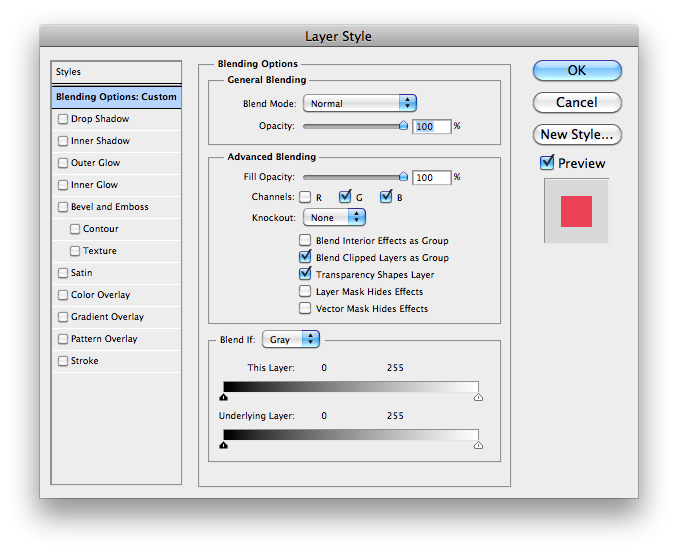 Select the Move Tool by pressing “v” and then move the layer you created either slightly to the left or right. You’ll notice the effect right away. That’s it. You’re done. Now just save it out in your preferred format. Some Inspiration – Olga Gogoleva. Some Inspiration for your Friday afternoon. Olga retouches photographs so well that it makes people like me just want to give up, crawl under my bed and just cry. You really need to check out her site, remember to pick up your jaw before you let the bugs fly in to your mouth. I’m particularly impressed with the site. Its classy, simple and very easy to use. I like how the images do all the talking. You’re instantly immersed in her retouching awesomeness. I remember coming across a web page from her a while back where she did some workshops in Australia. Shame I missed it. I’ll keep a look out for future workshops. Some Inspiration – Eva Ubani. You need to check out Eva’s work. I can’t remember when or where I came across her work but I’ve had it bookmarked for ages. Her portfolio features amazingly crisp, clear and beautiful images. A true photoshop genius.